Though underexplored in contemporary scholarship, the Victorian attempts to turn aesthetics into a science remain one of the most fascinating aspects of that era. In The Outward Mind, Benjamin Morgan approaches this period of innovation as an important origin point for current attempts to understand art or beauty using the tools of the sciences. Moving chronologically from natural theology in the early nineteenth century to laboratory psychology in the early twentieth, Morgan draws on little-known archives of Victorian intellectuals such as William Morris, Walter Pater, John Ruskin, and others to argue that scientific studies of mind and emotion transformed the way writers and artists understood the experience of beauty and effectively redescribed aesthetic judgment as a biological adaptation. Looking beyond the Victorian period to humanistic critical theory today, he also shows how the historical relationship between science and aesthetics could be a vital resource for rethinking key concepts in contemporary literary and cultural criticism, such as materialism, empathy, practice, and form. At a moment when the tumultuous relationship between the sciences and the humanities is the subject of ongoing debate, Morgan argues for the importance of understanding the arts and sciences as incontrovertibly intertwined. "More than just a sweeping and thoroughly researched study of Victorian aesthetics, The Outward Mind thus attempts to recuperate the philosophical and methodological value of the materialist tradition that it explicates. Throughout, Morgan expertly handles a breathtaking assortment of scientific, critical, and literary sources, whose overlapping themes and approaches demonstrate the real permeability of disciplinary boundaries in the nineteenth century. The book is steeped, too, in several rich bodies of modern scholarship concerning aesthetics, science, and culture; if anything, Morgan’s own striking argument about outwardness is occasionally lost in his sometimes cumbersome recitations of extant research. But for its generous and expansive account of the oft-overlooked field of Victorian psychological aesthetics, its fascinating prehistory of interdisciplinarity, and its suggestive insights into the state of the humanities today, The Outward Mind is essential reading for literary scholars both within and outside Victorian studies." "The Outward Mind is most remarkable for its staggering scope. Morgan draws together the history of Kantian aesthetics, Linnaean concepts of artistic response, early natural theology, Victorian narrative history and art criticism, and twentieth-century literary formalism into a tightly woven narrative that tells the story of how humans understand their relations to art. Morgan clearly and cogently illuminates a dizzying web of networks between writers, artists, natural theologians and physiologists – a feat that will arouse the interest of both literary scholars and historians of science. Most exciting is the book’s unexpected but nonetheless convincing pairings of figures like Walter Pater, William Morris, Thomas Hardy and Vernon Lee with scientists like Grant Allen, James Sully, Alexander Bain and Edmund Gurney." "In this excellent study Morgan makes a strong case for taking Victorian aesthetic thought much more seriously than it was taken in the past. In an introduction and five chapters, plus a fascinating epilogue on Wildean neuroaesthetics, Morgan blends insights from literature, science, philosophy, and art history to tell a fascinating story of the ways in which scientific approaches to aesthetic experience during the Victorian period 'resonated with a close attention to embodiment, the senses, and the materiality of the arts' (from the introduction). Framing his discussion with early-19th-century natural theology and the laboratory psychology of the early 20th century, the author offers not only a detailed account of the main figures who shaped aesthetic thought in the Victorian period but also an impressively detailed account of the afterlife of these ideas in the work of thinkers such as Maurice Merleau-Ponty, Susanne Langer, and John Dewey. The volume deals with how questions 'of a materialist, embodied aesthetic theory' are central to the capacity of 'the sciences to conceptually and methodologically transform humanistic practice.' As he introduces a new perspective on the relation between aesthetic theory and science, Morgan provides readers with a rich, deep understanding of the human condition. Recommended." "Morgan builds a new history of life out of past efforts. The Outward Mind explores the Victorian heyday of what he calls 'materialist aesthetics,' through which 'the plane of meaning recurrently collapses into the plane of materiality'.... It might be that The Outward Mind offers a prehistory of what Jameson famously diagnosed as 'the waning of affect' under postmodernism." 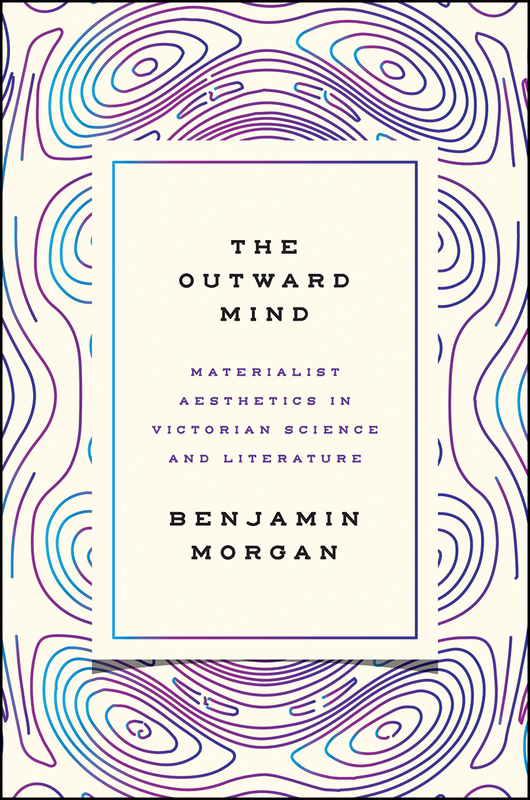 "Outstanding in science studies is Benjamin Morgan’s dazzling book, The Outward Mind: Materialist Aesthetics in Victorian Science and Literature. Morgan reconstructs a robust tradition that turns out to permeate Victorian thought: the idea that the mind is a material object, composed of atoms, fibers, etc.... Perhaps the most exciting aspect of this important study is that Morgan provides a heretofore underread tradition for what we do ourselves. This corporeal, material tradition leads to object-oriented ontology and digital humanities (and Morgan has discovered an astonishing early example of digital humanities, a computer discourse analysis from 1901). When we react against New Criticism, close readings, or symptomatic reading, therefore, we are not breaking new critical ground so much as we are adhering to a two-centuries-long tradition of trying to understand reading practices as material processes." "Although there are a great many reasons to read this book – not least to gain an understanding of a relatively obscure branch of Victorian aesthetics - one of the strongest is simply to attain a firmer grounding in the mindset of the period. Throughout each section of the book, Morgan succeeds in mapping the broader debates in which his primary subjects were participating." "Morgan has a staggeringly nimble eye for surprisingly fruitful overlaps....Deeply satisfying is the care with which the book defines terms that have become prominent but sometimes unrigorously wielded hot words: “Form” becomes the geometric ratios in nature that attuned the embodied mind to its formal environments. “Response” names the process by which aesthetic reaction was made evolutionary, determined by change over deep time, rather than personal or spiritual. “Empathy” means bodily response to the rhythmic patterns of music, art, or prose." "Morgan neither blindly endorses scientific methods nor rejects them as inapplicable to objects of humanistic inquiry, but rather looks to Victorian scientific aesthetics to formulate a third model for the interaction between scientific and humanistic modes of thought: mutual defamiliarization of our categories of analysis. Morgan’s book not only offers a reassessment of the disciplinary landscape of the Victorian age, but also offers viable new ways of thinking about disciplinary relationships in our own moment." "Offers a compelling analysis of the scientific cultures of Victorian aesthetics. Deeply learned, the book presents its case for unsettling 'distinctions between thinking and making, between the immateriality of the mind and the materiality of things' by attending to aesthetics as lived and embodied practices (20). Many critics have described nineteenth-century aesthetic forms as concerned with introspection and self-reflection; Morgan, in contrast, invites us to identify the mind’s so-called outwardness. Understanding this outwardness, the book suggests, forces us to revise the self-promotions of modernists and New Critics who rebuke the Victorians for being imprecise, un-materialist, and insufficiently scientific." "This brief summary cannot do justice to the remarkable breadth of Morgan’s archive, to his nuanced argumentation, or to the book’s quirky and illuminating juxtapositions. . . . Benjamin Morgan prompts his readers to see their disciplines through fresh eyes and to notice surprising legacies of Victorian thought in our current methodologies." "Morgan offers insightful commentary on nineteenth-century aesthetic theory, and he seldom misses an opportunity to expound on his theory of 'outwardness.' The Outward Mind is a well-delineated historical and theoretical map for navigating the study of Victorian aesthetics."